The player is Geralt of Rivia, a professional monster slayer, a witcher. Entangled in the political turmoil that engulfed Temeria, Geralt helped quell the rebellion of the Order of the Flaming Rose. Soon after, he saved King Foltest’s life when the monarch was attacked by a witcher-like assassin. He continues to protect the king, serving as his bodyguard as Foltest strives to bring peace to his kingdom. The Order’s last bastions have yielded to the royal army, yet one more task remains - the Baroness La Valette announced her secession from the realm, and her fortress must be taken. A month after the attempted assassination, Foltest’s armies stand at the gates of La Valette Castle, preparing for a final assault. Still at Foltest’s side, Geralt is among them, unable to begin his personal quest to discover the mysterious assassin’s origin and identity… Thanks to the new, ultra-modern REDengine, The Witcher 2: Assassins of Kings features both beautiful graphics and sophisticated in-game mechanics, drawing players into the most lively and believable world ever created in a video game. 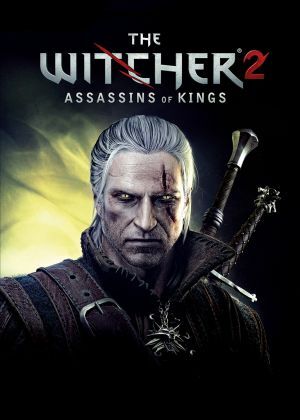 Defining new standards for realistic, non-linear game narration, The Witcher 2 spins a mature, thought-provoking tale to produce one of the most complex and unique RPGs ever released on PC. In addition to its epic story, the game features a complex combat system that uniquely combines dynamic action and tactical depth.